EXCELLENT MUSIC. Cantabile Chamber Choir is an auditioned choral ensemble dedicated to continual growth in fine music-making. Our repertoire is an exciting mix of traditional choral works, appealing modern pieces, and innovative and enjoyable crossover works. Our music has supported the Valley through its challenges and celebrated its joys. We enthusiastically represent Skagit Valley to the greater Puget Sound region and as far as our music will reach. COMMUNITY. 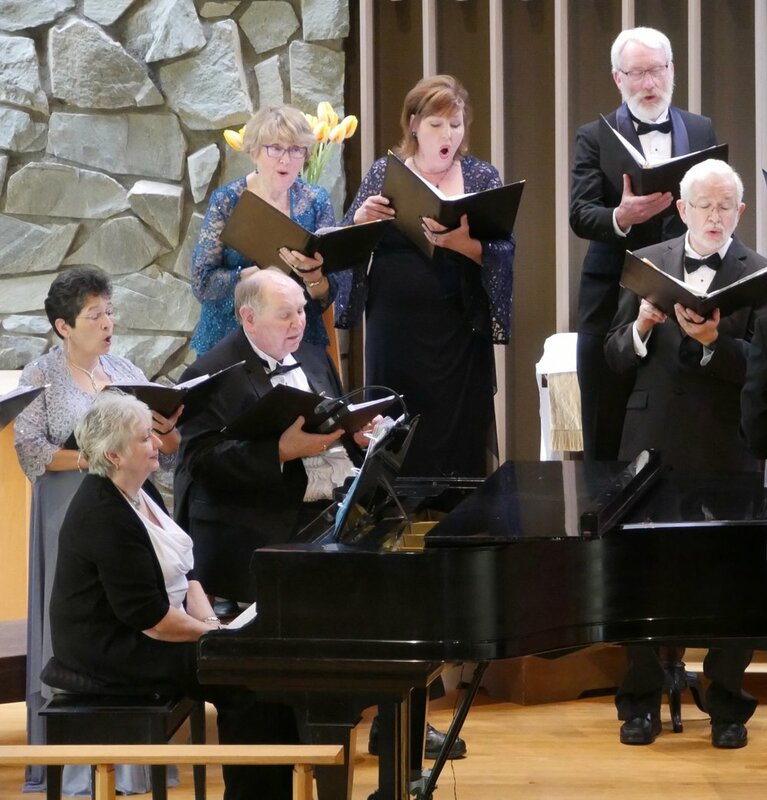 Cantabile Chamber Choir is one of several artistic groups in the Valley: Skagit Valley Chorale, Theater Arts Guild, Pacific Northwest Opera, Skagit Valley Academy of Dance. EDUCATION. With many educators in our ranks, Cantabile Chamber Choir is invested in mentoring young singers. In 2017, two students at the Burlington Cascade Middle School, Matt Johnson and Samantha Stark, received the Cantabile Chamber Choir's Young Artist award for outstanding achievement in choral singing. They received scholarships toward musical instruction and were chosen to sing solos in two of Cantabile's 2017 Christmas concerts.